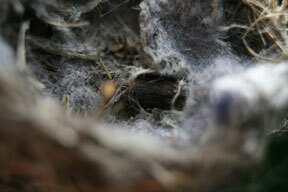 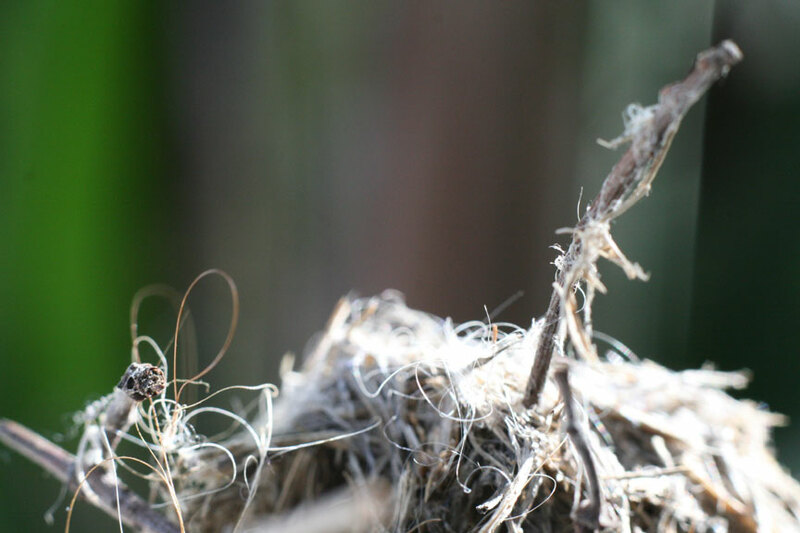 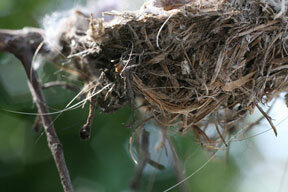 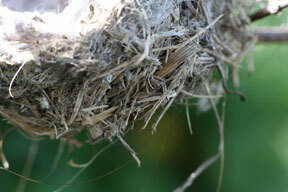 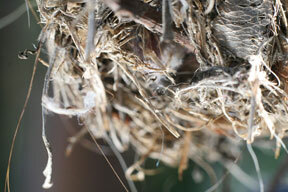 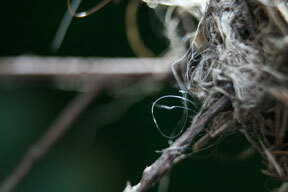 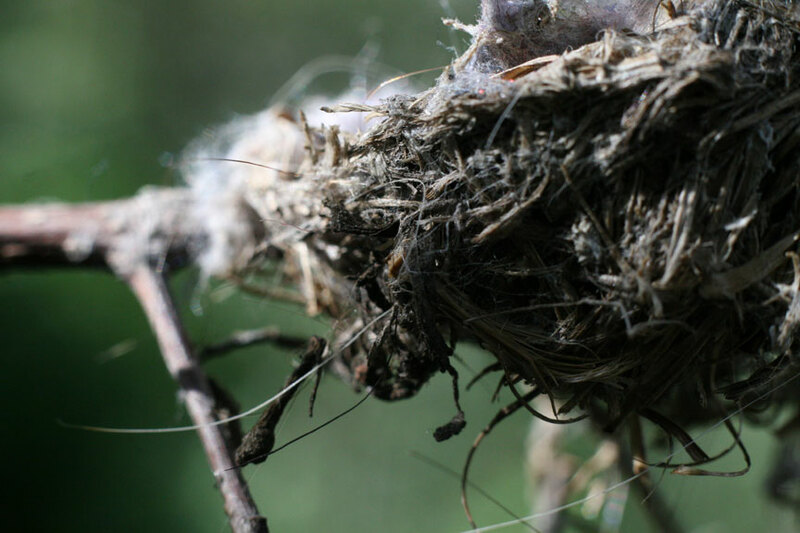 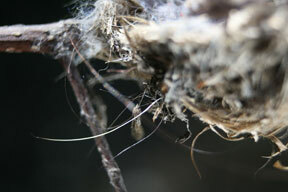 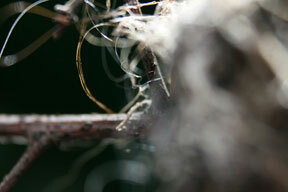 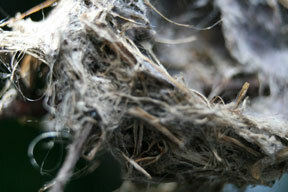 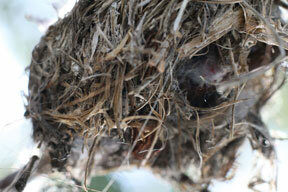 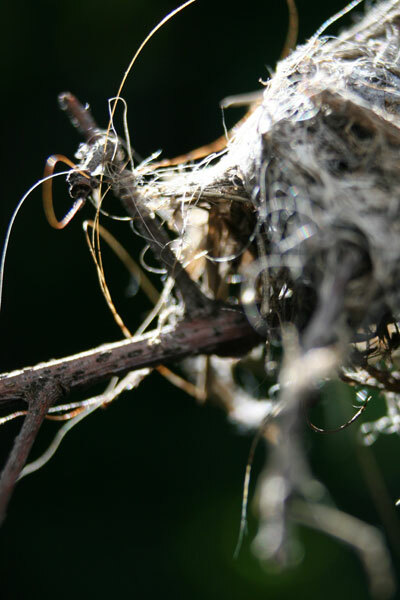 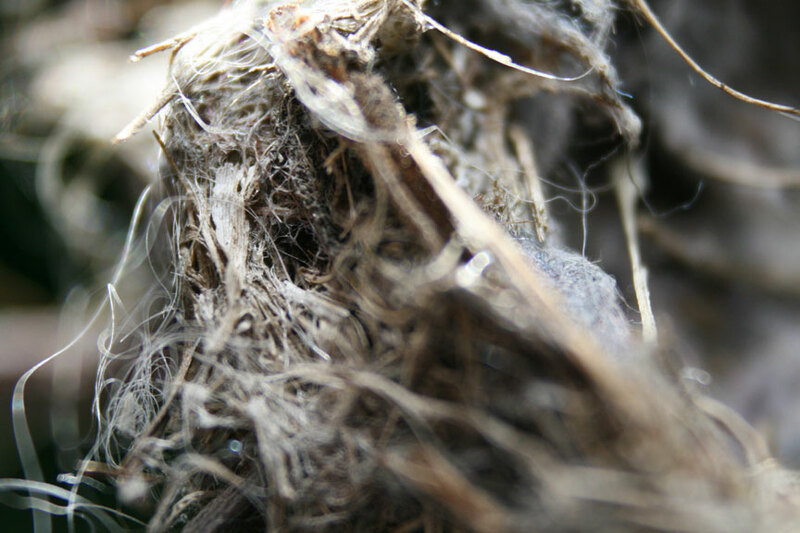 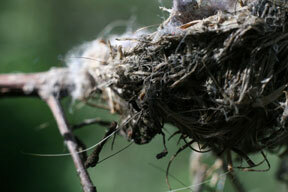 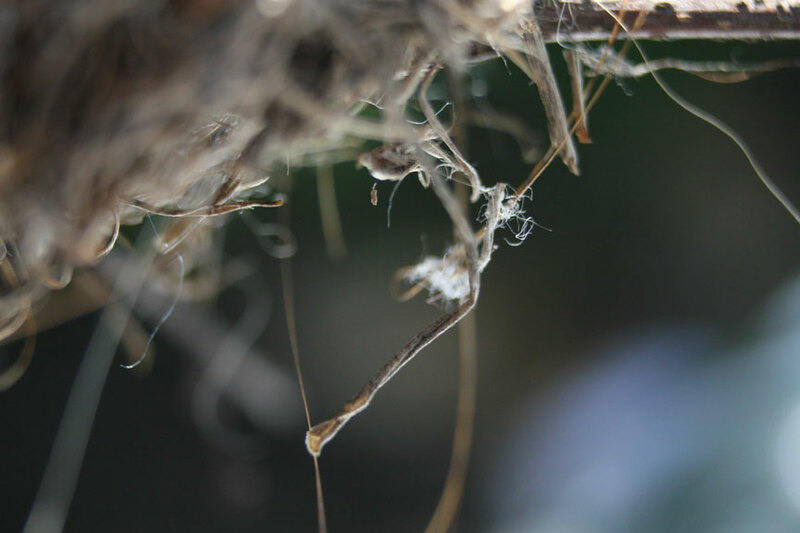 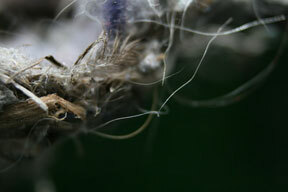 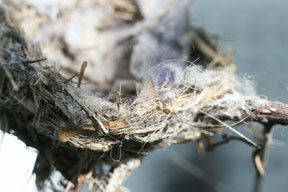 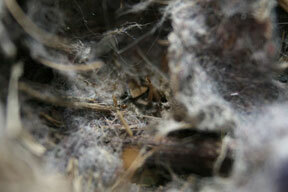 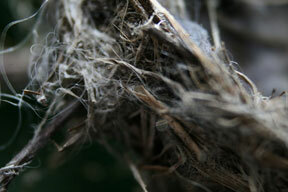 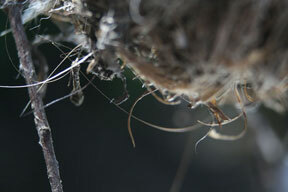 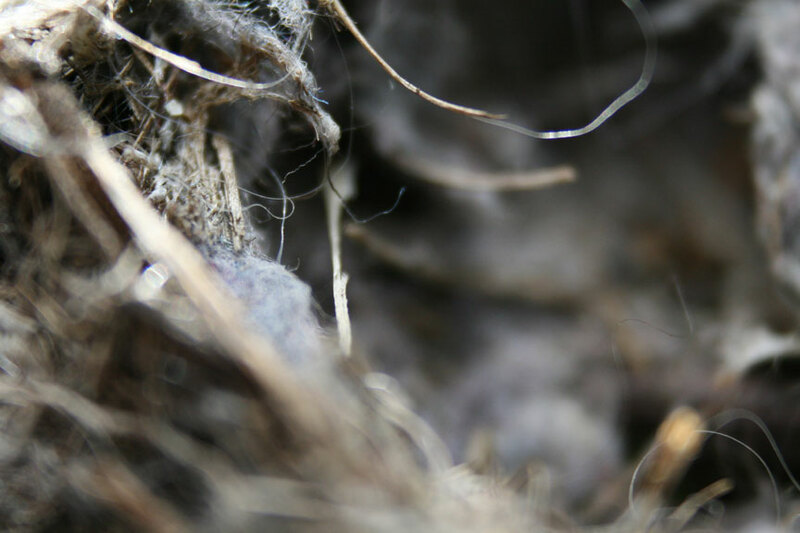 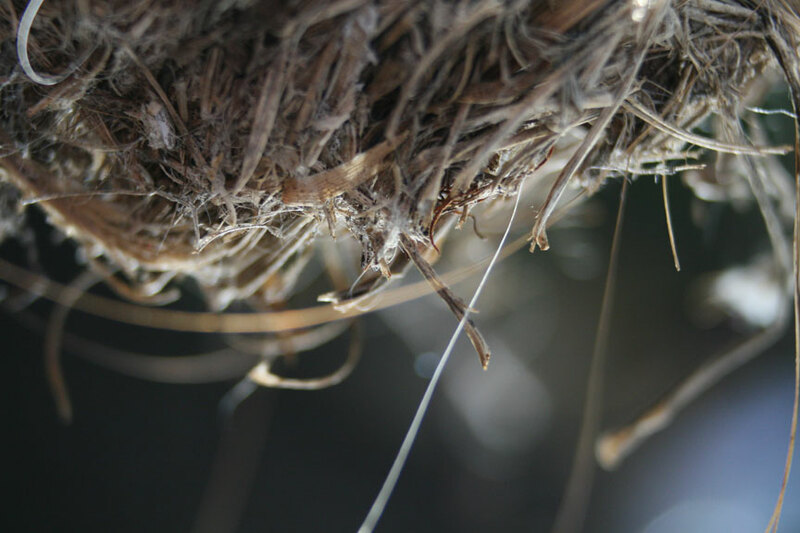 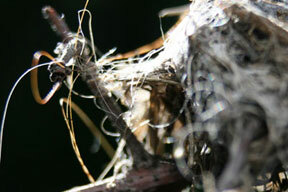 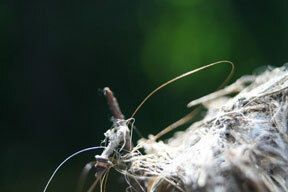 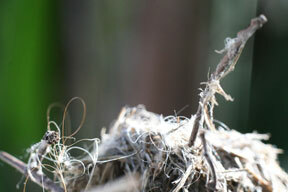 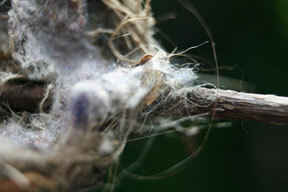 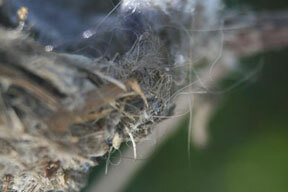 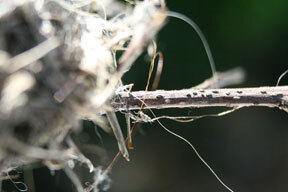 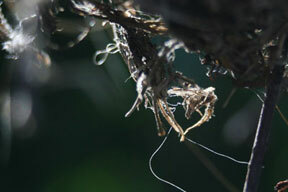 This is the first in a series of photographs that take a look at the materials and textures of bird’s nests. 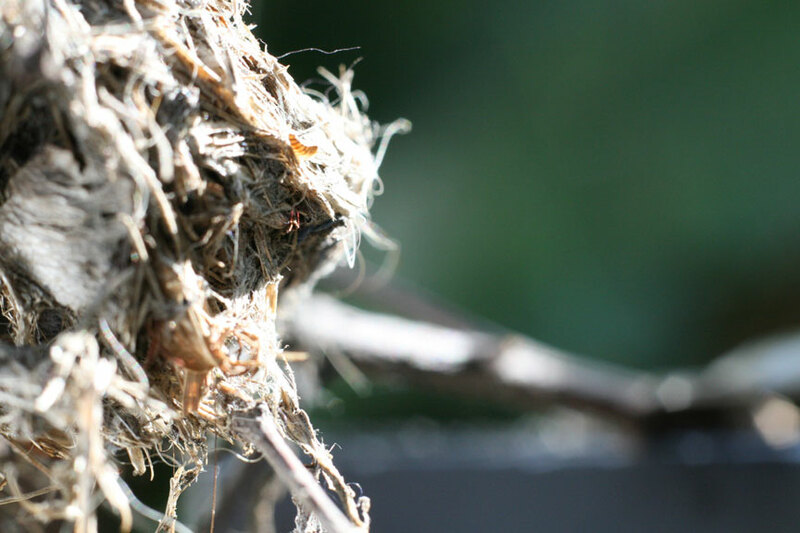 Approaching the work from the perspective that a nest is an architectural form, but visually focusing on the complexity and seemingly chaotic construction of found materials. 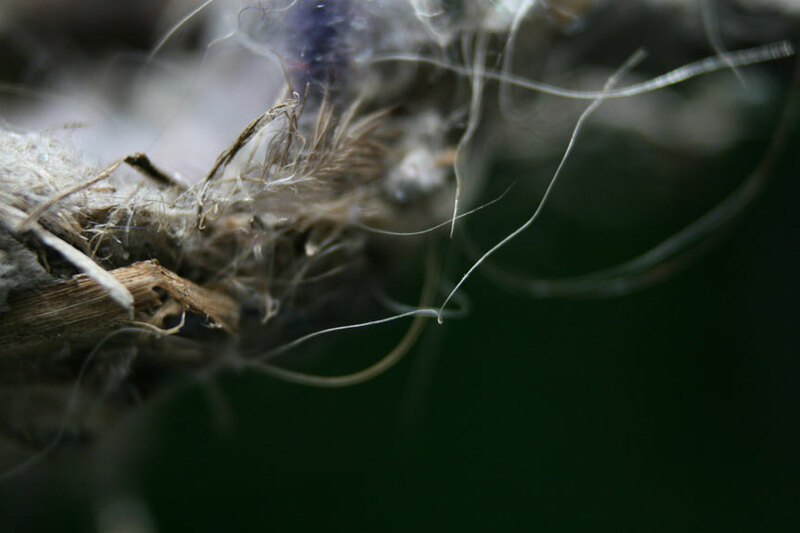 Straw to fabric padding, string to human hair every nest ever made has been uniquely different depending on the accessible materials, even more so in the urban landscapes. 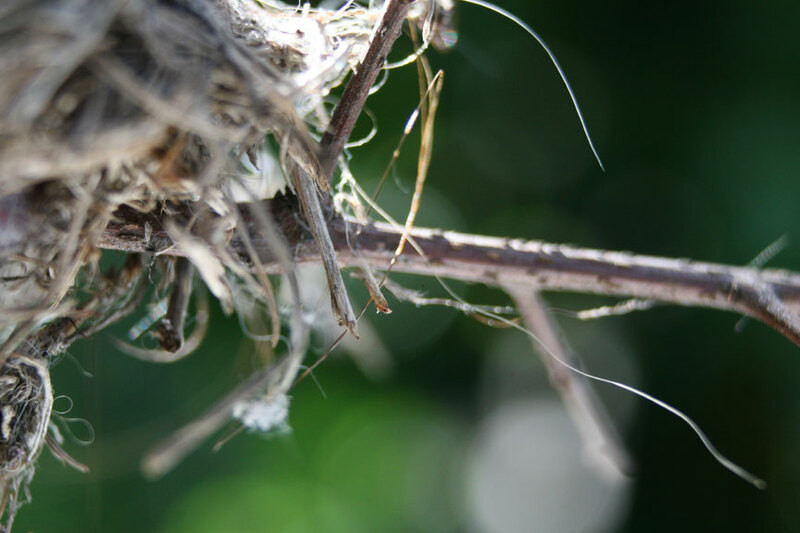 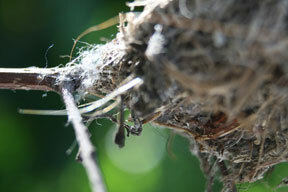 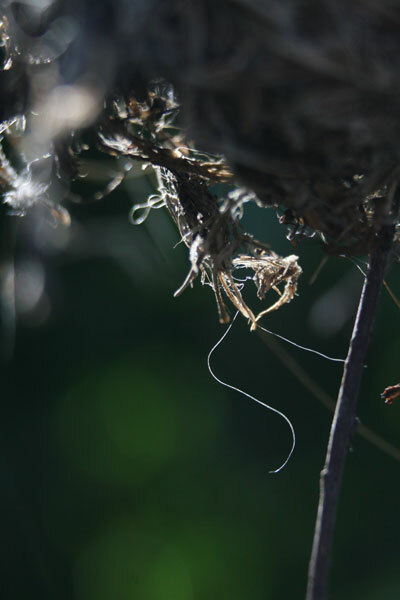 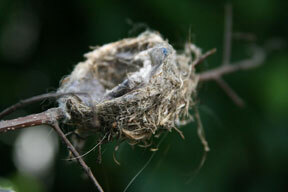 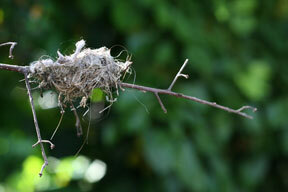 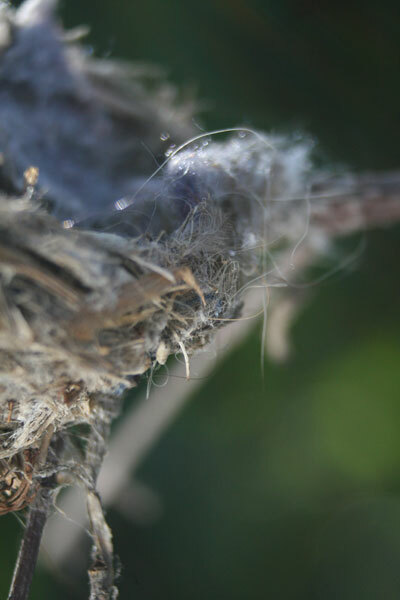 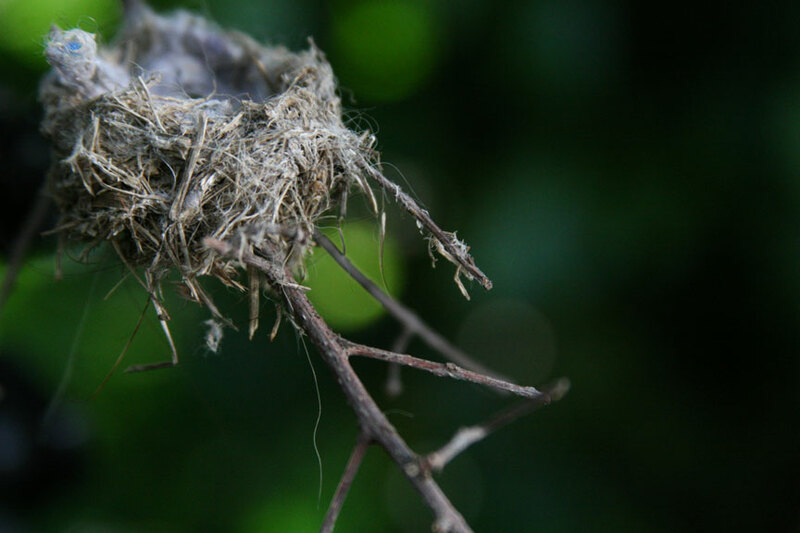 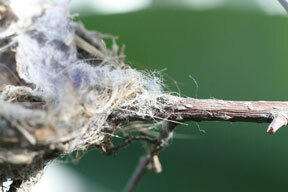 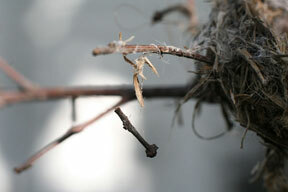 For this set I photographed a humming birds nest I found in Los Angeles. 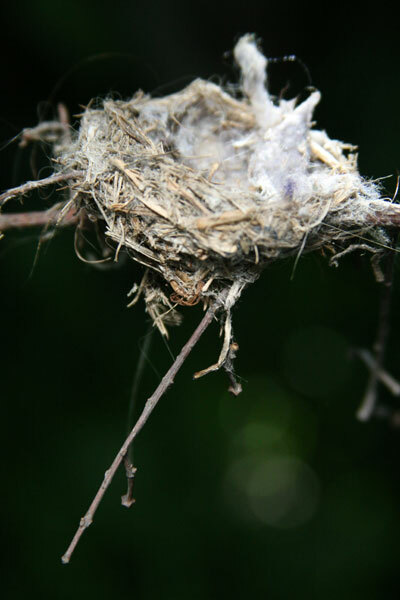 Upon reading up on humming bird nests I learned that they make the bottoms thicker and the top edges thinner to control the amount of heat in the nest. The mothers will sitter lower in the nest on cold nights and stand higher to allow air to blow through the thin upper sides. 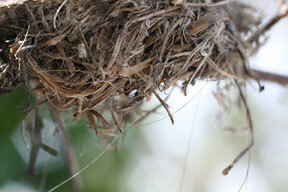 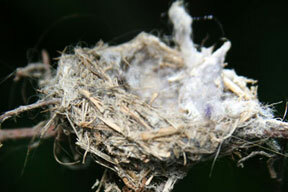 I find the engineering of nests fascinating considering it was knowledge based on instincts.